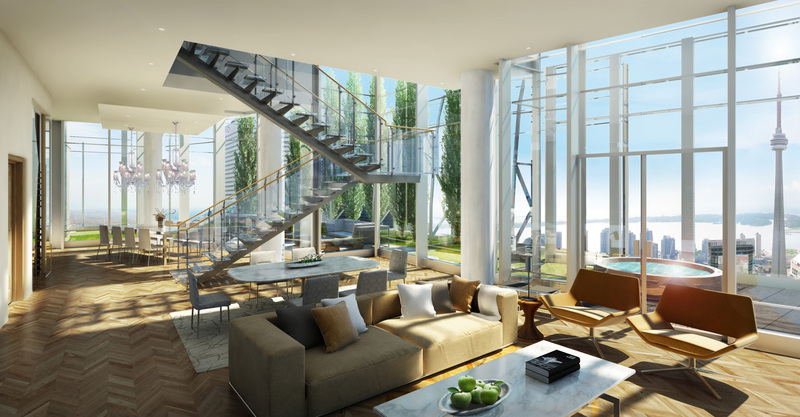 Judging by the numbers, there’s no shortage of buyers for luxury properties in Toronto. Suites in Toronto’s Yorkville neighbourhood have skyrocketed from $800 per square foot a few years ago to close to $2,000 per square foot today. Luxury resales and rentals are hot commodities. RE/MAX reveals that sales of condo suites priced over $2 million rose 42% in Toronto compared with the same period in 2015, driven mainly by demand from downsizers and the limited inventory of single-family homes. Urbanation reports almost 1,000 units renting for more than $3,000 per month so far this year — 17% higher than for all of 2015 — and 121 units renting for more than $5,000 per month. In a lot of cases, when you look at the purchase price of a luxury condo now, it’s not that much less than the selling price of the downsizer’s home. Urbanation defines luxury as anything above $1,000 per sq. ft. The combination of strong financial gains in recent years, obviously huge amounts of home equity that have been accumulated, combined with a rapidly growing population of downsizers, particularly in areas such as Rosedale, are contributing to very strong high-end demand — not just for resales but for renting as well.